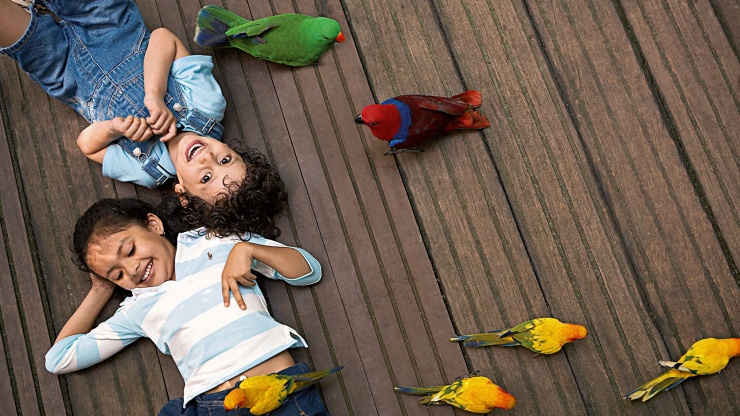 Visit Jurong Bird Park in Singapore for a family-friendly adventure among various bird species, from parrots to penguins. You’ll ride the Panorail for a panoramic look at the bird park, and explore the Waterfall Aviary. See penguins from an underwater viewing gallery, and check out the Birds & Buddies show, which kids love.